This abstract pattern is created by four-pointed shapes woven together in a tile-like pattern. It originated in Scotland and is also known as a "gun club check," for its history with hunters. Legendary University of Alabama coach Paul "Bear" Bryant regularly rocked hats with this loud pattern. 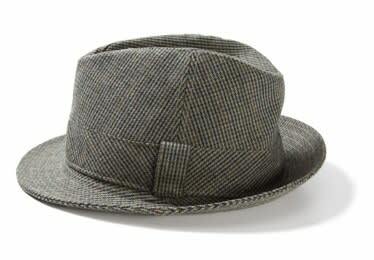 Channel his gridiron style with this subtle, micro-houndstooth hat from Gant by Michael Bastian.